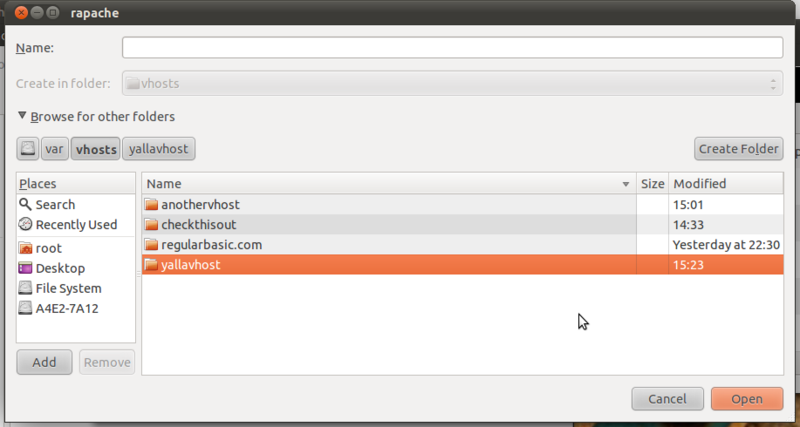 I followed Stefano Forenza's guide and installed rapache 0.7 on Ubuntu 11.04 Natty successfully. While setting up a new VirtualHost, open the Domain -> Location dialog and create a new folder. Software automatically goes into the folder. Open the Domain-> Location dialog and create a new folder. Select the folder you've created.